It is not uncommon for people to confuse bounty hunters with private investigators. Many people believe that characters such as Stephanie Plum from the novel One for the money are private investigators when in reality they are bounty hunters. But we can’t blame people either. Oftentimes, the tasks that bounty hunters do and the skillsets they possess overlap with those of a private investigator. Thus, it can be easy to mistake one for the other. Let’s explore their roles as well as the similarities and differences between them. What Do Bounty Hunters And Private Investigators Do? A bounty hunter works for a bail bondsman to capture and arrest a client of the bondsman who has failed to pay for their bail contract. In most cases, the client has fled and not appeared in criminal court as they were supposed to do so, and the judge has filed a warrant for the defendant’s arrest. 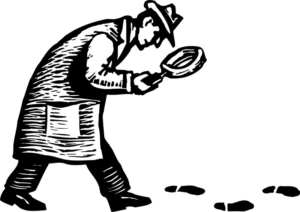 A private detective is employed by people – usually corporations, private individuals or law firms to seek out information on location of a person or a property; uncover civil wrongs or crimes; gather evidence to be used in court or even find out causes of injuries to people and cause of fires and accidents. What Do Both Jobs Have In Common? They may have to perform legal processes after locating the subject, for example a private investigator from OKC might have to serve legal papers about the non-fugitive whereas a bail recovery agent may have to serve a warrant out on the fugitive. People get confused if either a private detective or a bounty hunter are practicing both investigations and fugitive recovery, which is done in some cases. Do They Both Carry Guns? In most cases, bounty hunters and private investigators do carry guns. They are not allowed to fire unless they need to for protection. However, bounty hunters are allowed to make arrests whereas investigators cannot. Most states require bounty hunters and PI’s to get a professional license in order to work with permission and authorization to carry a weapon as well as a CCW permit. Thus, it is understandable to be confused about whether PI’s and bounty hunters perform the same job or not. Even though they do have to carry out similar tasks, their main objective is quite different from one another.